Created Proryv (Breakthrough) is one of the major advanced global projects in the nuclear power sector that is implemented in Russia by the leading sectoral scientists and specialists that provides for creation of the new generation nuclear power technologies on the basis of closed nuclear fuel cycle using fast neutron reactors. The Proryv Project is carried out under the Federal Target Program “Nuclear power technologies of a new generation for 2010 – 2015 and for the future till 2020”. As of today, staff of the leading ROSATOM research, design and production organisations is working in nine Project Responsibility Centres. «The Proryv Project which we are successfully implementing today will enable environmental compatibility both of electricity generation and waste recycling due to closure of the nuclear fuel cycle, using new fast neutron reactors. The technology will allow shifting to a new platform of nuclear power systems, with considerable reduction of radioactive waste and implementation of the principle of natural radiation balance». «The Proryv Project is carried out today approximately 10 years ahead of other global level projects in nuclear power; more than half of the Project R&D has been completed. Stage by stage implementation of the Project results within 2020-2030 will provide impetus for development of large-scale nuclear power and will create background for strengthening Russia as the leader in the world market of nuclear technologies and products». Versatility of the Project that required involvement of a number of sectoral enterprises, universities and institutes of the Russian Academy of Sciences, necessitated returning to the practice of project management that was once successfully used in addressing the challenge of creation of nuclear weapons and delivery missiles. Instead of establishing new enterprises, as it was in the time of the first nuclear project, Responsibility Centres (RC) for reactor facilities, development of technologies for mixed uranium-plutonium fuel, SNF reprocessing, radwaste management, development of new generation codes were set up at the existing relevant base enterprises of the State Corporation ROSATOM. Data of the Responsibility Centres are integrated within the project approach under unified scientific and administrative management. Such management is a pilot method for the sector, and it is one more innovation, which, if successful, will be replicated in the future. 1. Exclusion of severe NPP accidents (reactivity accidents, loss of cooling, fires, explosions) that require evacuation of the general public. 2. Closure of the nuclear fuel cycle for full use of energy potential of the uranium raw materials. 3. Step-by-step approach to radiation-equivalent disposal of the radwaste (which means that the waste will be sent to disposal with the same radioactivity as that of the original mineral raw materials). 4. 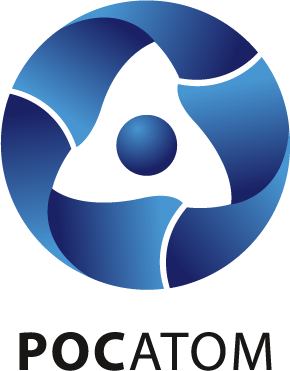 Technological strengthening of non-proliferation of nuclear weapons (new reactors cannot be used to produce them). 5. Reduction of capital costs of fast reactor NPP construction to at least the level of NPP with thermal reactors. 6. Ensuring competitiveness of nuclear power compared with other types of electricity generation. 7. Providing large-scale development of nuclear power in Russia by the end of the current century to 350 GW based on the existing mineral resources (essentially, a base for large-scale nuclear power is created). 8. SNF reprocessing, including the volumes accumulated by thermal reactors. 9. Development and approval of the commercialisation strategy. A Responsibility center (RC) is a dedicated division of the enterprise that combines a group of highly skilled specialists possessing the necessary level of expertise required for completing various R&D objectives within specific «Proryv» projects. ROSATOMS’s «Innovation and technology center for the «PRORYV» project» (ITCP) is the designated integrator for the entire project according to the requirements document approved by ROSATOM. The organization is tasked with issuing respective requirements documentation for various dedicated projects that specialize in crucial R&D activities for the facilities being developed within the scope of the «PRORYV» project. ITCP is also responsible for creating and supporting the project’s shared information space infrastructure and mathematical models. The primary objective of this RC is developing core technologies and experimental facilities for successful SNF reprocessing and radioactive waste management for the reprocessing module (RM) of the pilot demonstration energy complex (PDEC). The work is integral to developing large-scale inherently safe nuclear power in Russia based on closed nuclear fuel cycle and fast reactor technologies. The primary objective of this RC is supervising performance and requirements compliance during the development, manufacturing and commissioning of the pilot production lines for the on-site nuclear fuel cycle facilities, including the fabrication/refabrication module (FRM) and the fast reactor SNF reprocessing module (RM). This RC is tasked with creating a unified structured source of information relevant to the «Proryv» project which contains optimized design cost estimate, engineering, and technical documentation for various facilities and models. Utilizing this approach allows team members to virtually retrieve a 3D representation of an object, featuring its computer model detail and depth level as well as the corresponding justification data. It also allows product life cycle simulation for object and process characteristics analysis prior to operation and preliminary technical optimization, including decommissioning and site reclamation activities. Located at the Bochvar National Research Institute for Inorganic Materials. The primary objective of the RC is the development of fuel elements and assemblies with MNUP fuel, as well as the corresponding technologies needed for their fabrication and the necessary fuel construction materials. Located at JSC «NIKIET» and is responsible for realizing the BREST-OD-300 dedicated project. The BREST-OD-300 reactor is intended to be used for verifying the major technical solutions that will be employed in lead cooled reactors with a closed NFC and the fundamental concepts of inherent safety, on which these solutions were based on. Located at the JSC ««Afrikantov OKBM», the primary objective of this RC is the development of materials for the next generation nuclear power unit with a BN-1200 sodium-cooled fast neutron reactor. The RC was established in 2013 on the base of the Nuclear Safety Institute of the Russian Academy of Sciences (IBRAE). The center’s primary responsibility is the development of universal computer codes for modeling the various operating modes of existing NPPs and those in development with liquid metal cooled fast reactors and closed NFC facilities, as well as the impact of these facilities on humans and the environment. Located at the Institute of Physics and Power Engineering (IPPE), this RC is responsible for developing project codes. The RC is responsible for design engineering the pilot demonstration energy complex (PDEC) and developing the industrial energy complex (IEC). Content sharing and collaboration between project members is facilitated through the Shared information space (SIS). SIS is a combination of data transmission channels, software and hardware infrastructure and the methodology that supports collaborative work between project members. It allows developing, editing and utilizing the project’s information model, as well as integration with the IT systems of dedicated projects and shared information services. SIS consists of two major components – a secure data transfer network and the project’s information resources.